It’s not an official ISF sanctioned Vertical Kilometre race, but fulfils the criteria and is beautiful to boot. 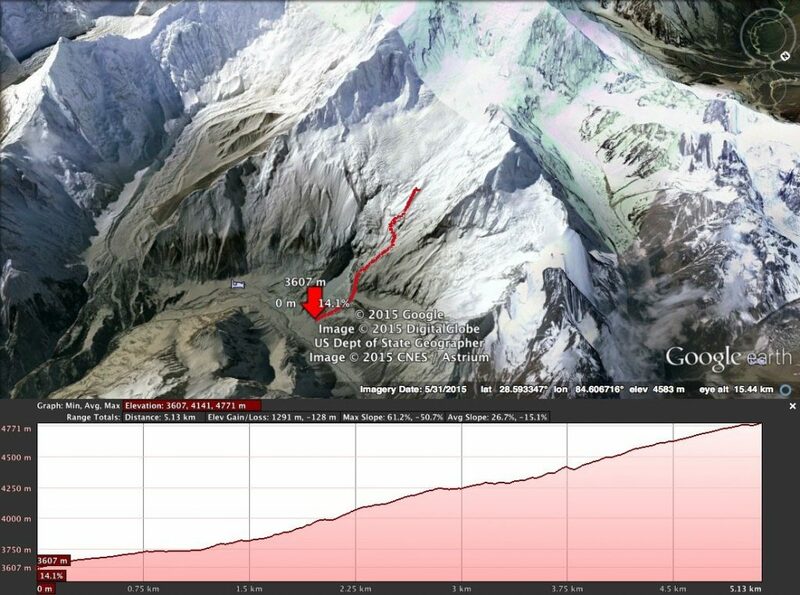 Hard work though, because of the altitude – from about 3500m to 4800m, we’ll update with the GPX track data later. 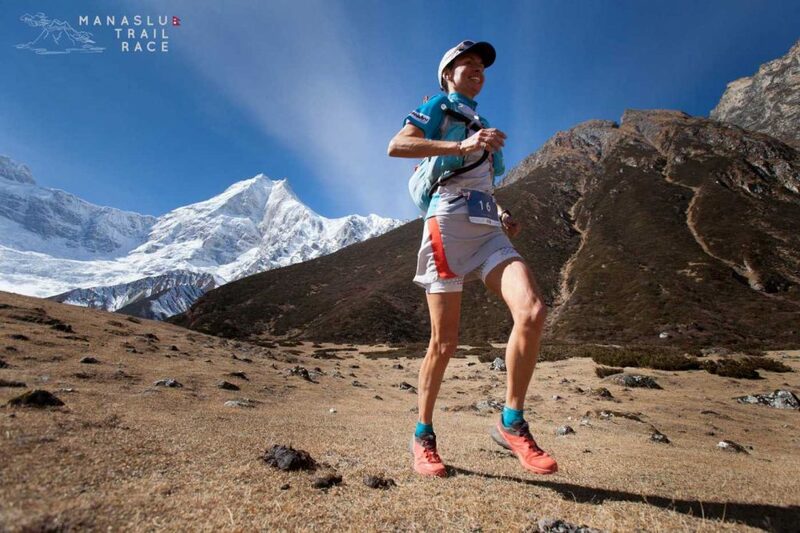 But here are some of the photos from that stage of the Manaslu Mountain Trail Race 2015 and the one preceding. November in Nepal gives some awesome clear skies. Can be cold in the evenings, but for tough trail runners ,it is not much of an issue if you get to run in conditions like this! It’s a vertical Kilometre at altitude! Gian Mario Campostrini  powering the 1200m descent. World’s highest vertical kilometre within 5km. Google Earth File. Stephan Tassani Prell doing the same! Natalia Roman Lopez defying gravity! Tite Togni the Italian Yoga Runner showing what yoga can do for you wearing Mira Rai’s green wig. 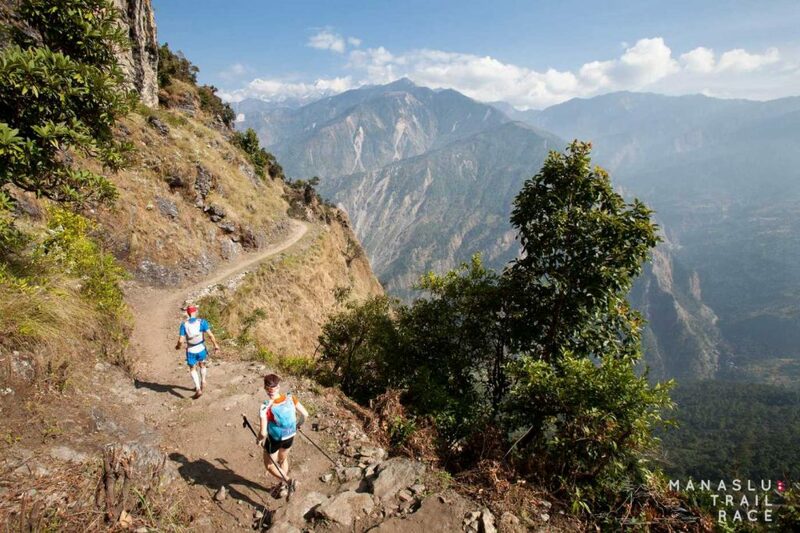 Laufsport Tassani in Nepal – the duo negotiating a trail 1200m above the morning start point. First stage hard work. Stephan Tassani Prell won on the ascent, trying to win on the descent. 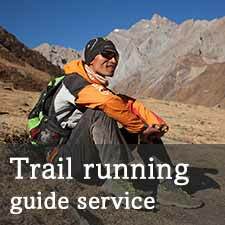 This entry was posted in Blog, News and tagged asia vertical kilometre, high altitude running, nepal vertical kilometre, trail races in asia, Trail races in Nepal, vk. Bookmark the permalink. I m from India. I am World Record Holder in Stair Climbing…i m interested in Vertical Kilometre…plz provide me more details about the event nd also event date? 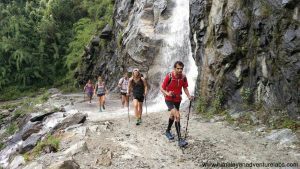 Vertical Race Annapurna Mandala Trail (2012, 2013, 2015) : 10 km +1750 m. Muktinath (3670 m) – Thorong La (5420 m). HOW COULD WE FORGET! Altius altius altius!